This is my war room. The background of the image below is the closet door of our nursery. It is full of declarations we are speaking over our babies. There is nothing fancy about it. I don’t have good handwriting. The signs aren’t pretty. I didn’t use colorful pens. In fact I didn’t spend a lot of time writing everything out. All it involved was a black pen and a lot of index cards. If you haven’t seen the War Room movie this might not make sense so let me back up and explain. War Room tells the story of a crumbling marriage. After receiving encouragement from a lady she met, the wife creates her ‘war room’ instead of giving up and filing for a divorce. Essentially this war room was her prayer room. She converted her bedroom closet into her prayer room where she posted her prayers and scriptures. It was there that she went to ‘war’ and asked the Lord to heal her marriage. You can watch the trailer below, however I highly recommend going to see the movie too. After seeing the movie, it didn’t take more than a few minutes for me to decide I needed a war room too. For a few years I have been praying in the nursery. There have been seasons where I have spent time in their every day and there have been seasons where I only go in there once a month. But, two weeks ago I converted the nursery closet door into my war room. What’s on the door? Our nursery door has everything from scriptures, baby names, dreams we have been given, prophetic words that have been spoken, promises that have been made to us, and blue sock moments that have happened. Thankfully, over the past 3.5 years I have kept track of most (I wish I could say all) of the ways the Lord has spoken to us. I know my war room is just in the beginning stages and soon I will have both doors covered. I have gone to war for our babies. Despite how much the enemy continues to attack, I hope he knows the Lord is on our side and the war has already been won. We already have victory in the Spiritual realm and I can’t wait to see our prayers answered in the physical realm. I won’t stop declaring and believing until they are in my arms and I can’t wait for the day that I get to show them that their bedroom started as my war room. What war are you in? Would you ever consider making a war room? i haven’t heard of that movie but i LOVE the idea of a war room. it sounds like an amazing place to create. prayers for you today and always! I love this!! Such a good idea! I’m so glad you have a war room and are praying fervently. Your faith is a big huge encouragement. I’m excited for you that God has helped you so far and that He is a God that answers prayers. This is a side note but Dave and I found War Room here on the street so we bought it. However, we put it in the DVD player and someone took a camera and filmed the movie. It was so ghetto we couldn’t even watch it =) BUT I do plan on watching that movie when I get home. I’ve heard good things about it. Wonderful idea — I’ve heard good things about that movie. Need to definitely put it on the list to see! Prayers for you! I REALLY want to see this movie, but I can never make it to the closest theater (an hour away) for a show time 🙁 We are doing the Bible study at my church next year though, so I am really looking forward to that! This is like a dream board of intentions. LOVE this idea!! A journal is ok, but you can’t just walk by and read randomly, you have to physically open the book. I have never heard of this movie and I am excited to watch it! I love this! 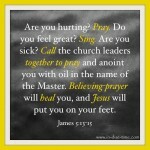 Such truth and power in speaking scripture and prayers. This is beautiful, Caroline! I definitely want to see this movie… keep hearing such good things! 🙂 I love the faith God has given you, and your confidence in Him. I feel like I haven’t had too much faith nowadays but this inspired me to watch the movie and work a little more. Thanks for the post. I have not seen the movie, but that’s a really neat concept. There are certain places in our living space that I could create a “War room” out of, but I also find myself being in a place that’s desolate and quiet. The war room would be the kitchen, but since we share a kitchen… it’s hard to pray in there when other people just come and go! :-/ Great post! À LA MODEST – Replacing insecurities with inspiration! I keep a prayer book with all the prayers folks have entrusted to me and my needs as well. Love the idea of a room, though. This is a great idea. I’m looking forward to seeing this movie. I hadn’t seen the movie yet but know about the War Room idea… I want to clear out a place in my house. The nursery… PERFECT for you!!!! I love this movie and it is a must see. I do my devotion in my office and it is a quiet space. However, after seeing the movie, I realized that I need to write these things down and place them where I can see them daily. 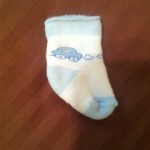 Thanks for sharing your heart and this great post. I heard this movie as great! this is such a good idea and will be a refuge for you! I just watched the trailer for that movie last night. I love that Christian films are making it to theatre and even more that they are bringing people closer to God! Keep leaning on him. Your faith will move mountains Girlie! I’m so glad you’ve taken this step. 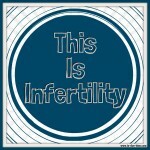 I think EVERY WOMAN STRUGGLING WITH INFERTILITY SHOULD DO THIS!!!! What a great personalization of the war room concept. Love it! I loved that movie so so much and started putting prayers up in my closet as well when I got home from. Mostly about my marriage. Even though I am not in a war per se at the moment, that does not mean I can’t start covering my marriage in prayer now before anything can ever try to shake it. I am absolutely praying with you lovely! Never heard of that movie but the trailer made me tear up. Definitely going to watch it. I can’t wait to see War Room! I used to spend night time feedings in the nursery praying over my babies, our lives, our friends and anything else that needed it. I love the idea of writing out those prayers too! Such a POWERFUL message! Thanks for sharing! Beautiful! I am so inspired to see someone with such an amazing faith. I hope anyone struggling with you will find your blog. A beautiful idea. I love that that is where you go to fight battles for your littles–and I love that you aren’t waiting either. Saw the movie. A must see! 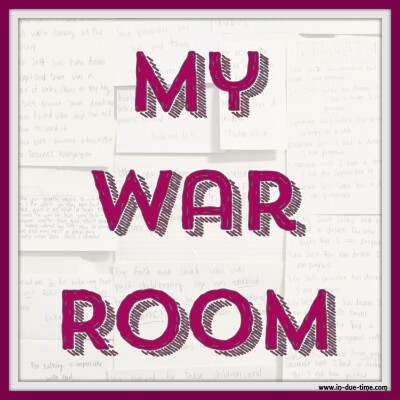 I love the idea of a war (prayer) room. I I haven’t seen this movie yet, but I really want to now. Oh, sweet friend! This is just wonderful! I am so proud of you for this. YES, we watched the movie, and I cannot say enough good about it. I was moved and touched and inspired and challenged to pray even more than I already do. I suppose I have had a “war room” for years…most of my praying is done in my dear Mom’s chair…I call it her praying chair. I inherited it when God called her to Heaven 3 years ago. In her later years, Mom could not kneel, due to physical limitations, and she sat in that chair and PRAYED…I mean really prayed…intercessory prayers for all of her children and family and loved ones. So, that is where I do a lot of my praying now. 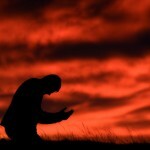 We are literally in a war of good versus evil, and our most powerful weapon is PRAYER. This movie has been an amazing tool God is using in powerful, unbelievable ways. SO thankful for the Kendricks and the integrity they maintain in getting the Gospel out through this means. Thank you for bringing the need for prayer to the forefront. It is needed now, more than ever before. I absolutely love this Caroline!!! What a great idea! I love how you made the idea from the movie your own and into something that you could use 🙂 Very cool post. What a blessing! Thank you. Love the way you are standing on your faith. The enemy loves to make us believe the Lord will not answer our prayers. I’m glad to see you aren’t falling for his lies. I used to go to a church that had prayer warriors like the older woman in the preview. I haven’t been around any in a while. It’s easy to forget how powerful it is. Thank you for the reminder. I so badly want to see this movie! I’m looking forward to reading Fervent, too! I can’t wait to see the film, and it’s wonderful that you’ve set up your war room in the nursery. And now I need to see this movie! Oooh, that movie does look good! My grandpa always talked of having a prayer closet… and everyone needs one! Even if your “closet” is a corner of your bedroom with a journal full of prayers. Wonderful idea! This is a great way to stay focused on the positive. 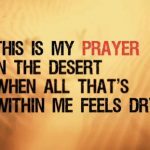 Prayer is absolutely SO important! This is beautiful and such a great idea! Thank you for sharing both the idea and the movie with us. I recently watched the movie with my mom and a coworker. I think it was a great reminder of how we should be praying for not marriage but also other relationships. I dont have a war room, but I did start journaling, which I think it may be a step in the right direction. i wish i could come over and pray with you. Beautiful…and no better place to pray!! It has been awhile since I had to go down into sack cloth and ashes, as I refer to serious, focused and consistent prayer on a single matter, but I have some issues that are hanging around that I am determined to get rid of and I feel the warrior in me stirring. Maybe it is time again. I love movies that center around uplifting marriages and families. It reminds me of “Fire Proof”. We need more messages like these. Thanks for sharing this trailer. I haven’t seen the movie but I must watch it in my free time this weekend, thank you for sharing, it’s amazing how often God sets me on a path and sees me through with assistance from those around me. This is so powerful. Wow, I think I need a prayer room too! 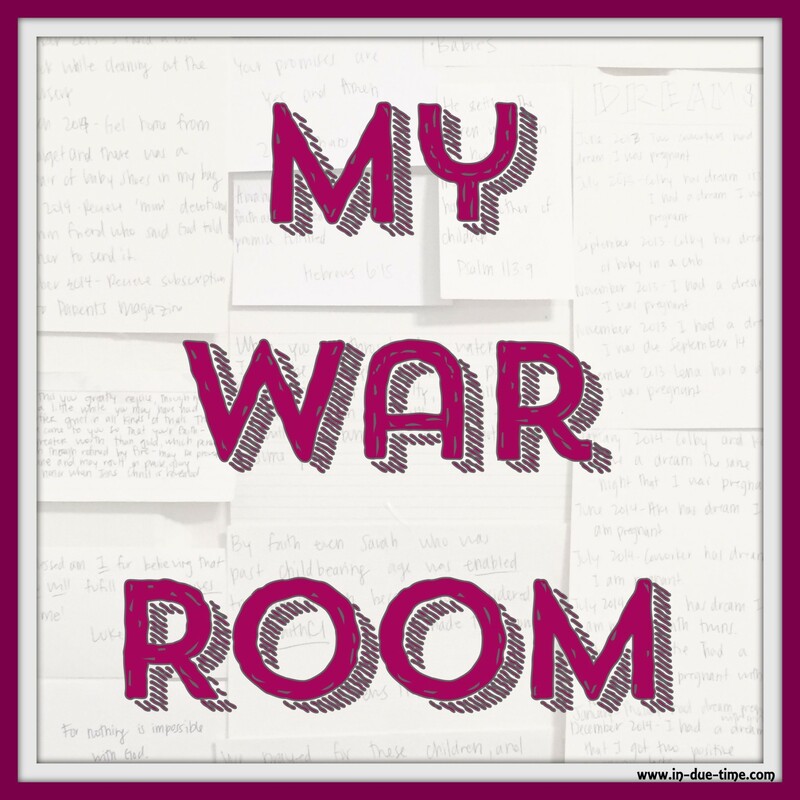 I don’t follow your blog but My War Room caught my eye. I suppose to kind of know about your faith. Are you a Christ follower? And I began to get teary. You in a closet scribbling a promise from Gods Word. Hopes. Dreams. Prayers. And I began to cry. I’ve only sat in the closet when I was oh three? 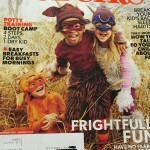 And I loved it in there and my mom forgot I was in there and I’d eaten a bite out of every Apple she had in a bushel basket!! I played pretend. But you? Are crying out to the Lord there and I just ache. Maybe because someone I love who has talked of nothing but when I have kids….well it’s not happening as planned and truthfully I’m a bit scared for her. For you too. Maybe because I’m already on a road less traveled and truthfully I’ve kinda quit explaining. Just know I’m praying. For you. Why? God had me. Leave it at that. Just a stranger who is praying. For you this day. You do not know her You’ll never meet her. Her voice you’ll never hear ever at all. But she is praying for God said to. She is not sure why Gods kept her alive. Jesus says life is to be lived with joy. I’m the one praying. I will be praying. For more than a babe in your arms some day. I will be praying for joy on your path. I will be praying for someone to care. I will be praying for God to lead you along. He has a promise. It’s in His Word. He will be showing you the path of life. Not just the when….life but this one as well. He has promised joys. Joys for evermore. Not just at good news. Not because He is holding good gifts. God is a good God. So a stranger is praying. A stranger is praying for you this day. That’s how God planned it. That’s how His body works. Blessings for you now in your own War Room of peace and joy and love and rest. The Lord Himself will fight for you; just stay calm. Exodus 14:14. It’s the fist verse. Put one finger down for each word of the verse. At the end you have two fists. Who fights??? God not us. ?✝? I’ve been trying to find space for a war room for so long now. I am thinking of settling for the laundry room. It’s kind of my quiet place anyway. Thanks for sharing your secret place with us.